I really enjoyed the course as well as blogging that was organized as a part of this course. It was an interesting and challenging experience for me. To begin with, the first problem that I faced was the lack of time to write assignments because of full time job. Secondly, my mini thesis and full thesis topics were about totally different themes. Writing mini thesis project impedes full thesis writing, because you need to read and analyze many articles on several areas. However, with the help of this course I practiced APA citation style a lot. I believe that this experience will help me with my full thesis. Besides, blogging served as a tool for reflection. Posting blogs about the process of writing small scale study and reading other students’ comments really helped me to think over my learning. Somehow, this led me to draw my own learning trajectory or learning strategy. My major advice to online learners who work would be thorough planning of your time devoted to writing assignments. It is really difficult to find enough time for reading articles, analyzing various sources of information and writing assignments when you have full time job. Usually, when you get urgent tasks from your workplace and you haven’t submitted your assignment or assignments yet, the mind starts to blow up. This may reduce the quality of writings. Therefore, it is better to make a plan where you divide your assignment or assignments into several sections. Then start writing as soon as possible by completing your assignments step by step. After taking part in weekly blogging as a part of this course, I came to conclusion that blog writing process lacked some interactivity. There were not so many comments on students’ posts that could generate discussion while some posts had no comments at all. Usually blog participants read and leave comments long after the post was published. If I were the instructor of this course, I would try to use one of the social networks that are popular among all students. I believe that the frequent and everyday use of social networks by participants will lead to instant comments and replies. I would also like to try to make assignment deadlines flexible, so that it will correspond to individual student’s learning pace and needs. Because, some students may have different learning styles, bareers and different life circumstances as well. Thus, I think that some flexibility or inclusiveness in terms of deadlines will help students to perform better. For my mini thesis project I would like to explore NUGSE graduate students’ perspectives on using blogs to develop self-regulated learning. Self-regulated learning requires from learners to set goals, develop their personal learning strategies to achieve these goals and reflect upon their own learning. And I believe that blogging can aid a person to develop this life-long learning skills. For the purpose of my study I have chosen an interview based qualitative study design. Creswell (2014) states that “a qualitative interview occurs when researchers ask one or more participants general, open-ended questions and record their answers” (p.217). Despite the fact that it is possible to conduct a qualitative research with few participants, finding interviewees is one of the challenges of this data collectiomn method. I’ve realized that it is difficult to find participants for my data collection as interviews are time consuming as well as data analysis. I struggled with finding time to appoint a meeting with my participants due to huge amount of work at school. As for the strengths of interviews I would highlight the opportunity to study the issue in depth. Having interviews with graduate students helped me to explore their perspectives on self-regulated learning in detail. Besides, the nature of interviews where respondents’ answers are not resrticted to answer set questions is really useful to get more information from participants. Actually, in terms of content or topic, this small scale study doesn’t have any direct relations with my master thesis as I’m going to explore teachers’ experiences in implementing the Content and Language Integrated Learning strategies in their lessons. However, from the data collection process of this mini thesis project, which is similar to the data collection instrument for my master thesis, I’ve learned good practical lessons that can be taken into account for the next study. First of all, I’ve realized that conducting an interview is not a simple process and requires thorough preliminary preparations. Everything needs to be prepared beforehand: starting from appointing interview time and venue and ending with good audio recording device. Moreover, interview questions should be well desinged so that the participants of your study could clearly undestand your questions. Only in this case you can get complete and accurate answers to your questions. As my small scale study focuses on several students’ perspectives, I would like to know opinions of other graduate students. Let’s find out the aswer by taking the survey below. Creswell, J. W. (2014). Educational research: Planning, conducting and evaluating quantitative and qualitative research. Essex: Pearson Education Limited. Let’s Kahoot! Or how to make learning AWESOME. I would like to share with one of the online game-based learning platforms called Kahoot. I was first introduced to this platform last year and I’ve been using it since then. I think that Kahoot really helps to engage all students into learning process. Educators can design quizzes, discussions and surveys using Kahoot platform that can be projected and accessed via the Internet on computers, laptops or smartphones. As Kahoot is free to use, anyone can register and create a multiple choice game in any language and share the results through social networks. First of all, a teacher needs to design a quiz with up to 4 answers and choose the correct one. Unfortunately you can’t have more that 4 variants for each question. It is also possible to embed a Youtube video or pictures to the quiz in order to make it more engaging and attractive. Then students can join the game by adding game pin using their laptops, tablet or smartphones. They need to click on the right answer and show the best time to win. After answering all the questions the platform wil display the winner. Many teachers from my school who implement Kahoot in their classrooms note that it is very effective tool to motivate students to study and involve in group work. Kids were hyperactive when I included Kahoot game into my lessons. Thus, from time to time I try to make my lessons more interesting with the help of Kahoot website. Teachers may apply game based quizzes to review the exam material or to have formative assessment. Moreover, it is easy to add a Youtube video as a lobby video that will be displayed while students are joining the game. Teachers may add their own educational videos and start the quiz after students finish watching. It is important to note that educators may enhance the learning process by getting students to create their own quizzes and discussions. Students should work in collaboration to study the topic and create some questions. This leads to deeper understanding of the theme by students and may develop their leadership skills as well as team worker abilities. I would like to conclude that teacher creativity + new technology equals to = awesome learning process. Writing literature review is one of the most challenging things in thesis writing for me. You should be able to give background information about your research topic, support problem statement and explore main ideas of your study. All of this needs to be done in a clear, coherent and logical way so that your reader won’t be distracted from your thoughts. And this in turn, requires thorough planning and hard thinking from the writer. Usually I start with planning my literature review where I divide this part into several chapters according to the main ideas. In order to find relevant articles I distinguish the key words and terminology first. Then I start searching articles by means of search engines as Google Scholar, or databases like EBSCO, Jstor, ERIC etc. It is important to note that key words are really helpful when using different databases. In my opinion, there are two main challenges with finding resources. First, it is remarkable that many students struggle with finding relevant and reliable sources. There is a lack of scientific articles in some areas of study that may hinder research process. In this case, I try to use synonyms of key terminology when searching or refer to the reference list of the articles I found earlier. Secondly, you may face abundance of literature on your topic that makes difficult to chose few of them. I would recommend to refer to the most cited ones or to choose the articles that are very close to yours. Unfortunately, I often experience scarcity of materials in Kazakhstani context. After finding appropriate resources, I start reading them and highlight the information that I may use in my thesis. Here, I use the trick with colours. I identify specific colours for each of my main themes and when reading the article I highlight the paragraphs or quotations with these colours. At the same time, I put authors’ names next to the piece of information I use so that I’ll be able not to forget and cite them properly. The next step is combining all the information into one section by paraphrasing, deleting unnecessary parts and spice it all up by adding linking words and phrases. In this stage I pay attention to the coherence of my ideas and logical flow. Of course, my initial outline of literature review may change several times while reading more and more articles. But this is what makes your literature review delicious and easy to read. For some students writing research paper seems to be a torture while APA becomes the instrument of torture. Therefore, I think that there is a need to explain what APA style is. What is APA style? Why do I need to use it? Basically, APA stands for American Psychological Association and it is a referencing format/style that researchers of the social sciences worldwide use to write research papers. 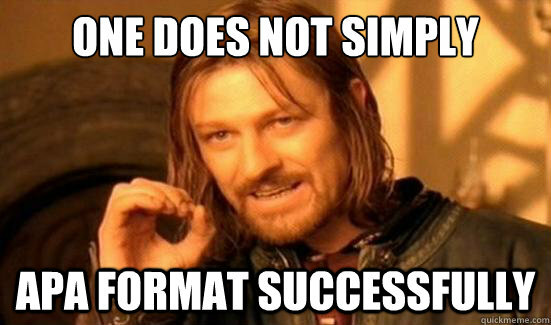 It helps writers to format and structure their papers, cite various kinds of sources and avoid plagiarism. Frankly speaking, you don’t have to use APA style. But you have to cite your sources and use any of other referencing styles in order be an accredited author. In other words, you shouldn’t plagiarize and have to distinguish your ideas from other author’s ideas. Also, by referring to the original source you give credit for the author’s effort and findings. Is it difficult to cite the source? In my opinion, it it easier to learn citing and referencing nowadays as we have a lot of new technologies designed and modified for researchers. There are some good options for referencing when using Google Docs, for example, where you may use research option that makes referencing and citing easier for beginners. You may choose between APA, MLA and Chicago referencing styles there. Moreover, there is a website called www.citationmachine.net, where the writers are given APA, MLA and Chicago citation styles’ templates for different types of the sources. All the learner needs to do is to fill in the forms of the templates and click on the “Create Citation” button. They also have Plagiarism checker for only registered users on that website. Personally, I used this website to teach my 11 grade students how to cite different sources when they were writing research papers. To my mind, most of the students plagiarize because they lack research skills and they confuse proper citing. Thus, keep consulting APA style guide while writing your paper and take it seriously. Of course, you may struggle at first, but practice makes perfect (Proverb,n.d.). Since people have started implementing various kinds of social software for communication, spending at least an hour for such type of communication has become an imprescriptible part of their daily routine. Most of their time expending in online computer-mediated communication (CMC) environments like chats, blogs, wikis and social networks, people spend for reading and writing. As most teenagers’ lives cannot be imagined without CMC, educators’ attitude towards writing has changed. Creative and entrepreneurial teachers started to implement CMC environments in their classrooms in order to exploit students’ habitual activities for learning purposes. 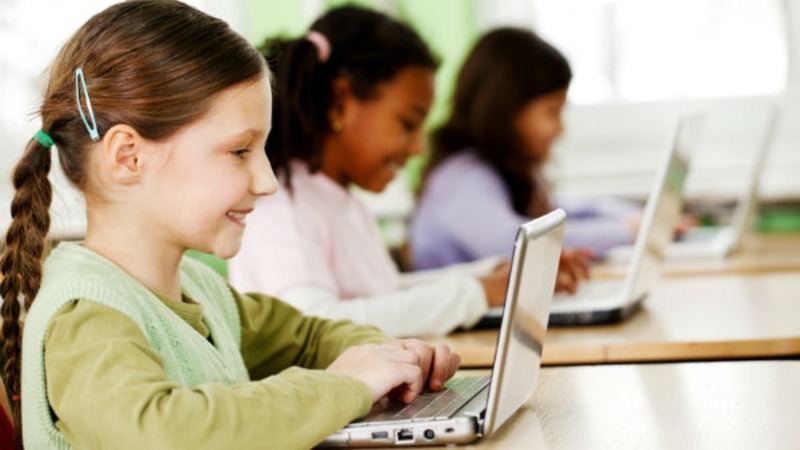 One of the widespread types of online CMC environments frequently used in classrooms or out-of-class is a blog. Due to its numerous advantages blogs have gained an enormous popularity among Internet users. Nowadays anyone who wants to maintain a blog can create his/her own personal blog just in few steps. By now, all blog-hosting services have made the process of creating personal blogs very easy and fast. With ready templates of simple and comfortable interfaces new blogger doesn’t need to be a good programmer. As stated by Yang (2009, p.13): “anyone who can create a basic Microsoft Word document can create and maintain a blog”. It is noteworthy that, according to the self-reports, writing on the blogs made students pay close attention to the formal aspects of writing, both in terms of word choice, structure, and word spelling, attending to sentence and paragraph structure as well as adapting academic style, register and appropriate lexicon (p.39). One can read and also comment on what one reads in expectation of a little discussion and a quest for common interests and individual differences. By responding on blogs, people can get feedback from other audiences throughout cyberspace. Students have an opportunity to read things in which they are interested and write things they truly wish to write, thereby determining their own texts in language education and combining text with conversations in a very personal and stimulating way (p.13). Thus, blogging enhances learners’ writing skills and motivation to write, particularly the interactive feature of blogging (giving comments and receiving feedback) arouses learners’ motivation. All of these reasons support beneficial features of online learning environments. As for disadvantages, I believe that accessibility of the Internet connection and computers is a major concern for online learning nowadays. Moreover, asynchronous aspect of blogging may decrease the interaction between the learners. Not all of the blog platforms protect authors’ information by providing open access to posts only with the authors’ permission. “Trilingualism”, “trilingual education” and “trilingual policy” are fancy terms that one may hear from the news very often in Kazakhstan. This comes from an idea to make educational reforms so that Kazakhstan could be a part of globalized world by developing its economy. Trilingual education reflects President Nazarbayev’s vision of multicultural nations living in harmony in Kazakhstan. Nazarbayev Intellectual schools are pilot schools that are implementing trilingual education programme with the aim of developing best practice and sharing their experience with mainstream schools later on. NIS perform trilingual education by offering language classes and extra lessons (Kazakh, Russian, English), teaching non-language subjects through these languages and organizing extra-curricular activities. By teaching subject content through three languages, NIS aims to build a school environment where all classes support the learning of both subject content and languages. And this can be done by using Content and Language Integrated Learning (CLIL) approach. As a part of my job as a coordinator of trilingual education in my school I was responsible for observing lessons in order to ensure proper implementation of trilingual education. From my observations and interviews with some teachers I found out that the teachers struggle with incorporating CLIL approach into teaching practice. During the lessons students who are studying some of their subjects through a second or third language lack language support given by the teachers. Moreover, specific grammatical patterns or rules are not reinforced in content classes while students are speaking or writing. Also, some teachers teach both L1 and L2 classes with no differentiation. All of these means that teachers are not confident with CLIL approach. Thus, I aim to research the challenges that teachers face with implementing CLIL approach. Also, I would like to interview students in order to see their perspectives on this issue.